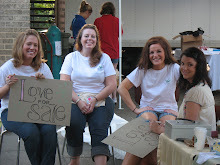 I'm really excited to announce Love For Sale will be participating in the 9th Annual Bicycle Film Festival. It will be held in various cities across North America as well as other countries. In Memphis the festival will be held at the Brooks Museum, Friday, May 29th and Saturday, May 30th in Overton Park. 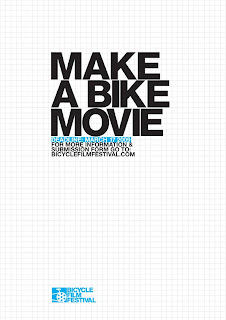 "The Bicycle Film Festival is a celebration of cycling in all forms. It started 9 years ago when a man (Brendt Barbur BFF Director) was hit by a bus while on his bike. He decided to turn the experience into something positive, and the result was the Bicycle Film Festival. The BFF goes to less than 20 cities in the world, including Milan, Paris, Chicago, NY, etc., so we are very lucky to have it in Memphis this year." So if you're in the area the last weekend of May, please come out and show not only your LFS support, but some bicycle support as well! We'll be there all day Saturday with a craft booth, selling a lot of bicycle themed goodies as well as some of our traditional LFS merchandise. SCOOTY CYCLES LIMITED is one of the leading bike distributors.We are Legitimate registered Company under licensed in United States .We ship via FedEx or DHL, and we ship locally and Internationally. We sell all kinds Cannondale, Cervelo, Ellsworth, Giant, Jamis, Klein, Kona, Litespeed, Rocky Mountain, Santa Cruz, Specialized, Trek, Gary Fisher bikes. OUR COMPANY PROMO IS ON!!!! We are liquidating our 2007 and 2008 stock and we giving out big discounts now!!! BUY 3 BICYCLES AND GET ONE FREE!!! MYCYCLE STORE is one of the leading bike distributors worldwide. We are Legitimate registered Company under licensed number(RC43215). MyCycle store is one of the number one bike stores in the UK . Based in Cheshire Cyclestore has grown from a small locally based shop to one of the leading online bike stores in the UK. MyCycle store supplies a range of high quality mountain bikes, road bikes, BMX bikes, bike accessories and bike spares. MyCyclestore has over 10 years experience in the cycling industry providing only good quality bikes and cycling accessories to cycling. Offer the latest and most desirable range of cycling and bike products available. Bikes Ready Assembled and Ready to Go! We have lots of customers not just from the UK but from all over the world therefore, If you are looking at MyCycle store from outside of the UK. From either Europe, America, Asia, we are happy to sell and post bike products to you. So please feel free to tell us exactly what you are looking for and We will be happy to send the cycling goods to you. We ship via FedEx,USPS or DHL, and your ordered items will get to your door step within 48 hrs(Two Working Days). PLEASE VISIT OUR WEBSITE WWW.MYCYCLESTORE.CC.CC for more details.